We ship to most parts of the world that has postal services. For standard shipping, we will use normal postage. For express, we ship using DHL, so all your items can be tracked and delivered in a timely manner. I see prices all over the website. What currency is that? As our online store caters to customers from all over the world, we employ a USD currency system for easier transaction. A high degree of learning is required if you wish to learn and make full use of our products to improve your productivity. Depending on individual learning speed, one could take only a few days to learn while others take longer time to learn. 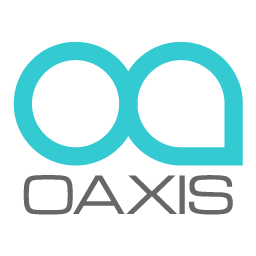 But once you get the hang of it, you will see how Oaxis products changes the way you work. But fear not, we have a series of How to Guides for users to watch and learn from. We would appreciate if you could spend 5 to 10 mins watching these videos to learn how to use our products the right way. Your product seems interesting. How can I help to make it better? Firstly, purchase our products, use them and provide awesome feedbacks to us on your ideas, how it can be improved, and what are things you wish to see in new releases. Of course, not all ideas can be implemented immediately. We will process and brainstorm them before implementing it as it concerns all of our users. Secondly, support our Kickstarter projects. New products that are up and coming from us are released first on our Kickstarter. By supporting us on Kickstarter, you will be the first few people in the world to own our products when it gets released.